Possibly one of the most deceptively simple, but also most powerfully executed books we’ve seen on handling, recognising and confronting overwhelming emotions. This makes a perfect read for younger ones to begin to understand their own emotions and to laugh at the fickleness of our mood swings and how we can address them. 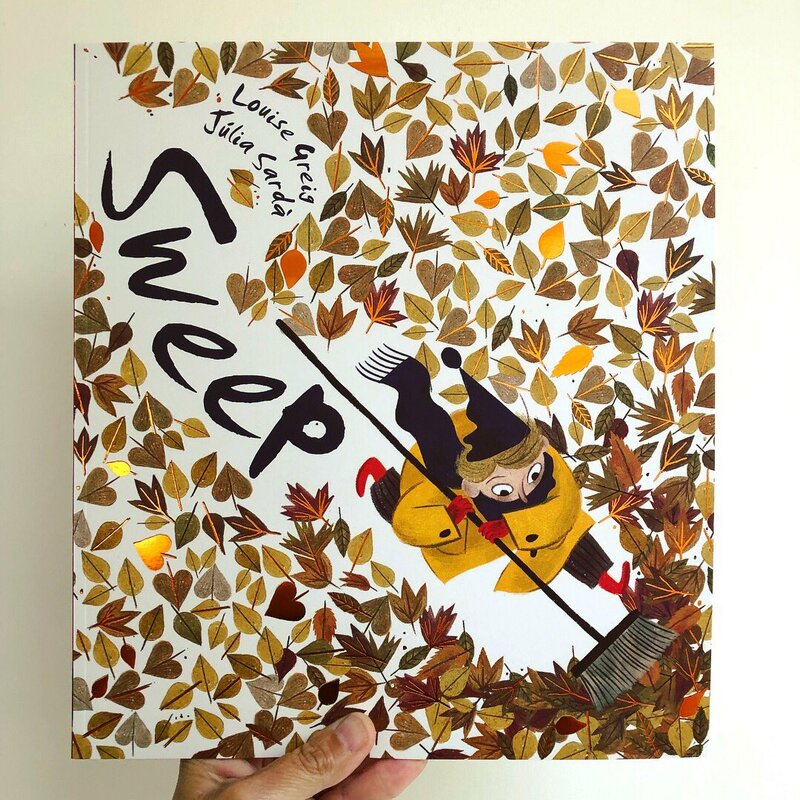 ‘Sweep‘ by Louise Greig and Júlia Sardà is an aptly titled, visually powerful and cleverly observed narrative about a seemingly small issue which manifests itself in an inordinately huge bad mood. A mood like you’ve never witnessed before! This story astutely explores how emotions can be all-consuming and yet how uplifting it can feel to confront them head-on and restore calm once again. But quickly it soon gathers pace and quite literally sweeps through the whole town! 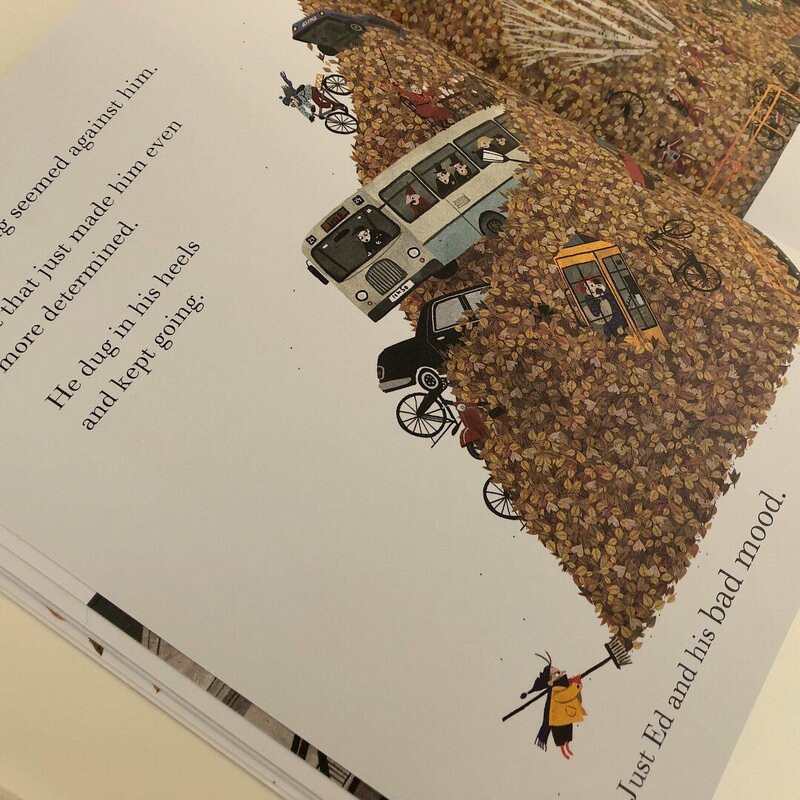 Leaving bikes, cars, buses and a wealth of unassuming pedestrians in his wake amongst the leaves, Ed’s mood has gone beyond the point of no return, but how can he stop it? 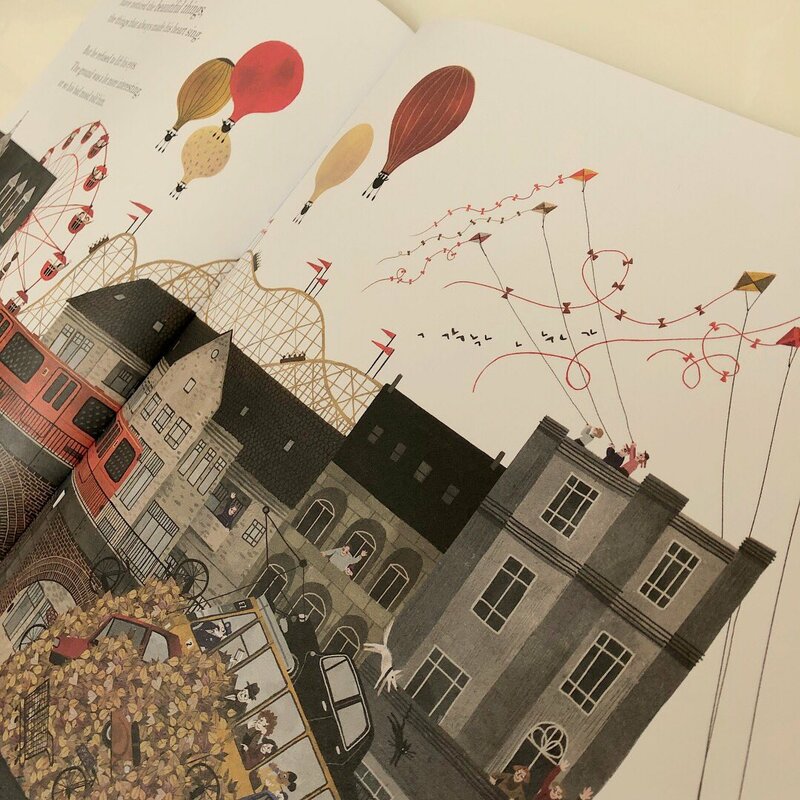 Louise Greig has written a succinct, humourous and compelling tale on the impact of our emotions and the uplifting impact it can have when we confront them. 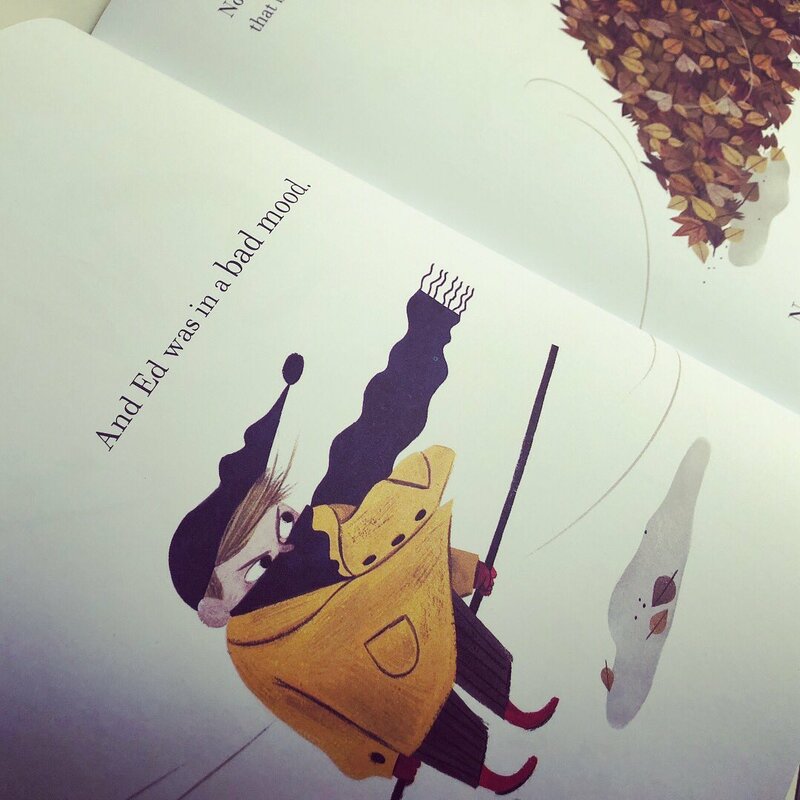 Coupled with Júlia Sardà’s insightful illustrations, the pair have produced a winning combination for all children to enjoy and for some to perhaps consider more closely about handling their own feelings. It’s a fabulous book, isn’t it? I think Louise Greig’s books are fab and this is such a clever idea for showing how a bad mood can take over and so well depicted in the illustrations too.